Are you coming to Exponential next week (April 23-26 in Orlando)? If so, we invite you to come and hang out with the Wayfarer/3DM team. Our team will be leading several sessions on discipleship and mission and also hosting some special events. Every night we’re inviting anyone who wants to come over to our house for dessert, snacks and drinks to continue engaging and hanging out at the house we’re renting down there. If you’ve got a question about anything we’re doing, this is a great place to talk. It really is ALL ACCESS to our team. Click here to register for the conference. Here are some of the workshops we’ll be doing. Attractional and Missional. Is it both? 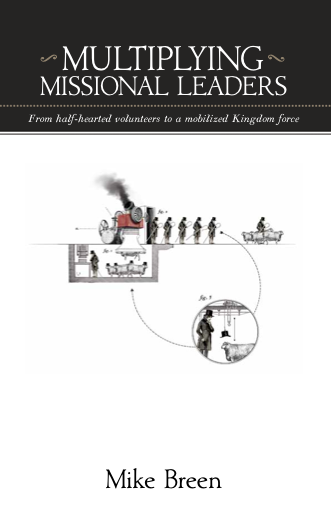 The following is a brief excerpt from Mike’s forthcoming book Multiplying Missional Leaders, which comes out at the beginning of May. One of the problems about Millennials (or Gen Y, the generation right after Gen X) is that people within the generation have, in general, been over-parented. This is a sociological reality that has been studied to death. People born after 1980 have, by and large, grown up in a culture of parenting where parental responsibilities have clutched tightly as a reaction to the absentee parents of the previous generation. The parents we’re talking about don’t want to force onto their children the wounds that they feel were inflicted by their home life, and so they over-parent their children, to the extent that their children have never been trained to take responsibility. To back up this broad-brush analysis, simply Google “helicopter parent.” You’ll find this is a whole new sociological field of research. A helicopter parent is a parent who hovers very close to his or her child all the way into adulthood. Human resource departments are now training their staff to negotiate not only with their employees but also with the parents of their employees. A very common trait in the employment process in the corporate world is that a parent turns up to an interview with his or her child, even though that child is in his or her mid-twenties, to help to negotiate the package for that child. This is so common that HR departments now have to do whole training seminars to deal with this reality. A person who has been over parented to that extent is, in general, not standing up to the mature adult responsibilities that normally would be associated with the years of development between 20 and 30. As a result, that kind of maturation now doesn’t take place until between 30 and 40. So the development of character and capacity is a huge responsibility. If you are largely working with young adults, know that the vast majority of these adults, even though they may look mature, don’t know how to tie their shoelaces. This is such a widespread feature in our society now that it behooves us, whenever we are thinking of bringing someone into leadership, to think through how we can assess that person’s character, capacity, the chemistry we might have with them on a team, and through those things, identify and endorse their calling. If a person is joining a team and does not yet have the necessary character and capacity, I would suggest that your leadership pipeline recognizes that fact and trains people on such issues. Multiplying Missional Leaders provides much more guidance on how to develop a leadership pipeline. Go to weare3dm.com for more information on how to order. If you want to investigate more, here’s another excerpt from Mike’s blog. So how do we calibrate invitation and challenge? Our team uses a matrix to help us evaluate what our culture is. Failing to provide either invitation or challenge leads to a bored culture. We all know what this is like from our days in high school. The teachers who were disinterested (low invitation) and who let students skate by (low challenge) were the ones whose classes seemed to last forever. Even worse, it would take a herculean effort for a student to learn or develop in such a class. None of us wants a bored culture, and most leaders who are leading by choice won’t fall into this trap. That’s as true in secular arenas as it is with those who are seeking to disciple others. But often, we fall into the trap of emphasizing either invitation or challenge at the expense of the other. When leaders are high on invitation but lacking in challenge, they create a cozy culture. This is a pretty pleasant place to be, quite honestly. Everyone feels good about being loved and cared for and included. The problem is that a cozy culture doesn’t develop people. Again, think back to high school. The teacher who was a friend to all the students may have been popular, but you didn’t want that teacher for certain subjects. A cozy pre-calculus class, for example, leads to a miserable experience in calculus, because you weren’t challenged enough to learn the basics to succeed at the next level. Obviously, this is a huge problem when we’re trying to develop followers of Jesus. The goal when we’re discipling isn’t only to make everyone feel included or loved – it’s to help people become more like Jesus. At some point, this will require challenge that a cozy culture simply fails to provide. On the other hand, leaders who are high on challenge but lacking in invitation create a stressed culture. This is a culture where people can develop, but only if they have enough mettle and fortitude to survive the leader’s constant pushing. In my hometown, one of the big inner-city high schools had a football coach who was this way. He was extremely successful, winning four state championships and turning the team into a nationally recognized powerhouse. But eventually, his rules started to wear on the players. 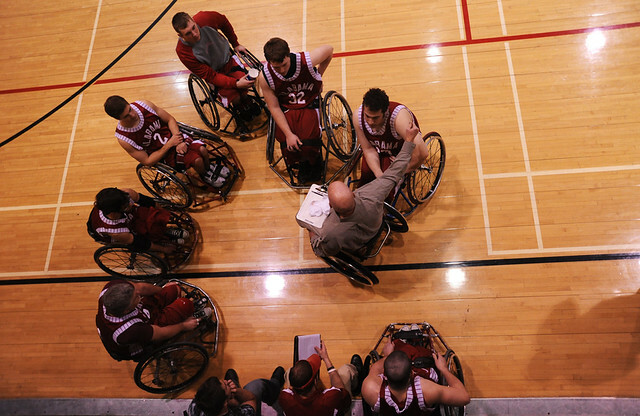 Each year, his teams had fewer and fewer students sign up to play. Before long, his team was half the size of the football teams at other schools with similar enrollment, and he was pushed out of his job. This coach knew how to challenge players to get better, but the level of invitation didn’t match the challenge. So kids just bailed. That’s a disturbing trend with a football team, but it’s downright catastrophic when it’s true of the people we’re trying to develop into followers of Jesus. Ironically, a leader in a stressed culture often looks at dropouts and thinks about how they didn’t have what it takes. Too often we hear this kind of talk from fellow church or youth leaders. The truth is that the one who didn’t have what it takes was the leader, because the invitation was so lacking. Instead of emphasizing either invitation or challenge, we need to calibrate both in order to develop a discipling culture. In this kind of culture, learners feel welcomed and gain a sense of belonging from invitation, and they also grow because they are challenged when it’s appropriate and necessary. Are the people I’m leading too cozy? If so, what are the first steps of challenge that I need to begin to introduce? Are the people I’m leading too stressed? If so, what steps can I take to add invitation into these relationships? To learn more about invitation and challenge, check out the transcript of Mike Breen’s recent keynote at Anglican 1000, as well as these blog posts from Steve Bremner and Brian Williamson.